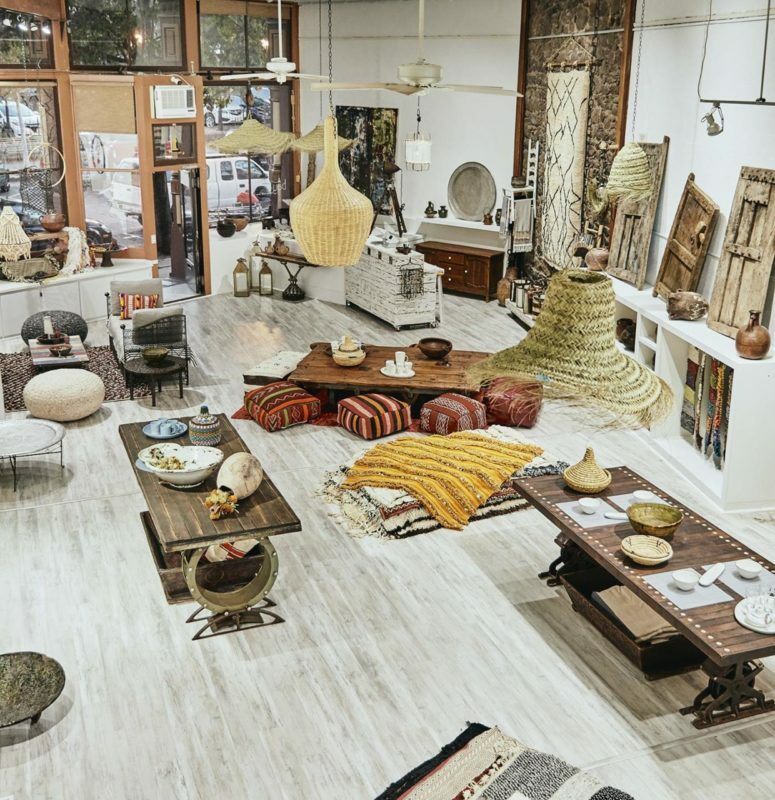 Bay-ti, which is Arabic for “my home,” will feature imported crafts and artifacts from Morocco and original furniture from salvaged pieces, providing an old world, across-the-globe riff to the antique-rich Petaluma shopping scene. Click through the gallery for a peak at Bay-ti's products. A graphic designer for 25 years, Hassani is brand new to retail, but seems to have successfully translated his artistry from computer to showroom floor. 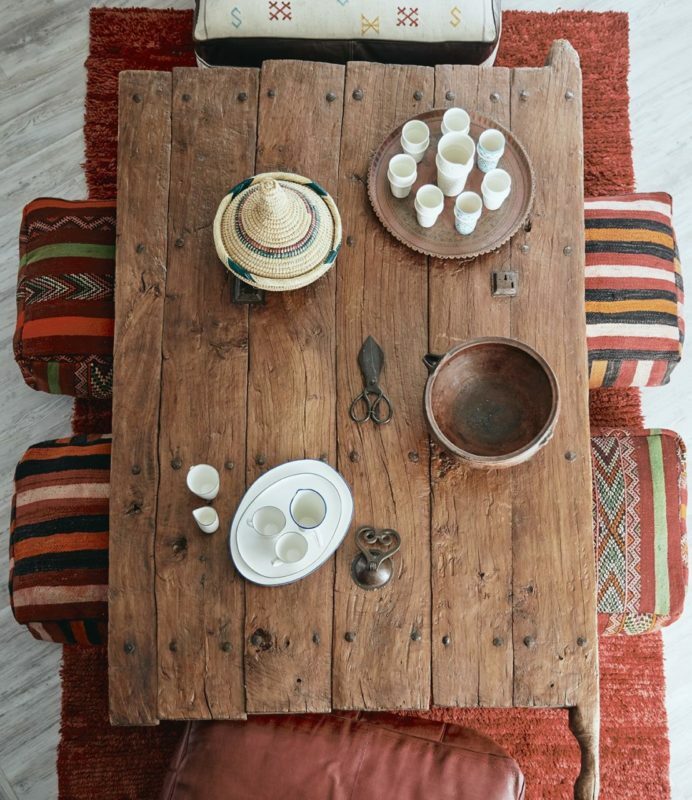 Bay-ti, which is Arabic for “my home,” will feature imported crafts and artifacts from Morocco and original furniture from salvaged pieces, providing an old world, across-the-globe riff to the antique-rich Petaluma shopping experience. 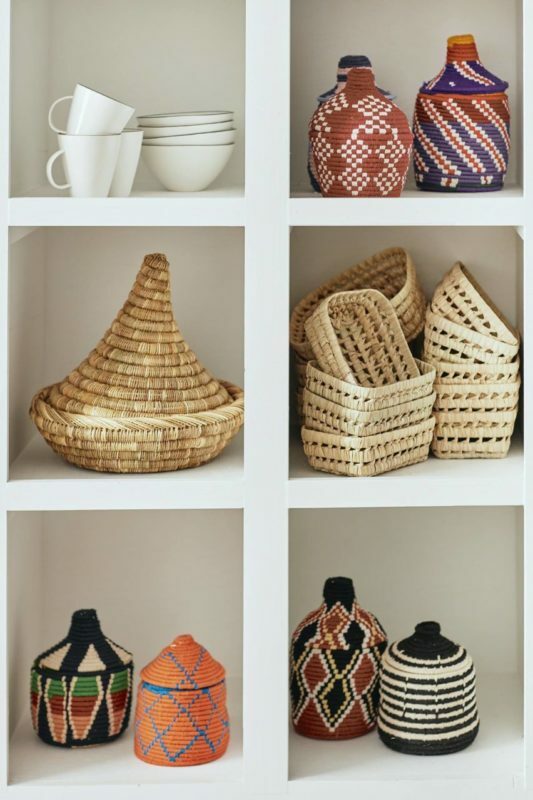 A group of Moroccan-made storage baskets sit in colorful graphic unity on shelves. There are piles of rugs, each with a story to tell. One is a traditional bride’s cloak and blanket, another is a rug woven from upcycled jeans. As for artifacts, you can find a vintage African Mali walking stick. Or a massive wooden carved antique door, with a smaller passage door within, dating back hundreds of years. 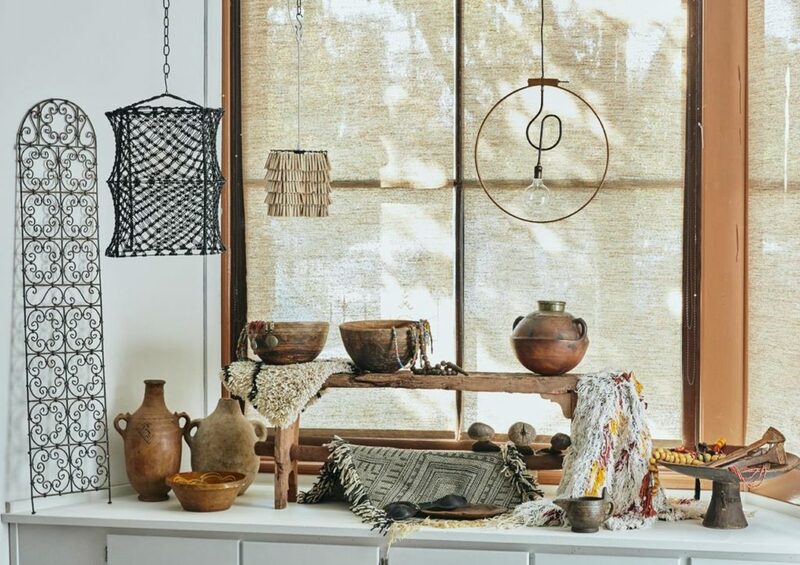 From the ceiling hang a variety of unique chandeliers like a wooden clothespin creation by Hassani, a salvaged Italian designer piece made from glass plates, and others pendants with grass woven shades. 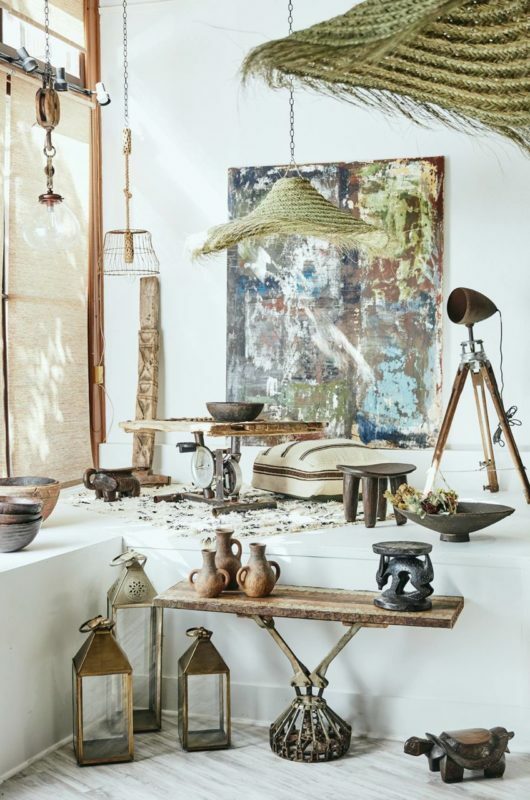 Hassani’s artistic inspiration is a unique blend of time, place and mindset: his childhood spent in artisan-rich Fez, Morocco; his discoveries of pieces in Petaluma salvage and antique stores; and his guilt over having contributed to the landfill over the years in his work as a graphic designer. “Every street in Fez is dedicated to a specific craft,” say Hassani, who says that traveling to his native Fez is “getting a breath of fresh air.” In a culture that’s completely steeped in crafting, every street is dedicated to a certain type of trade, leather-making in one neighborhood, steel working in another, Hassani says. 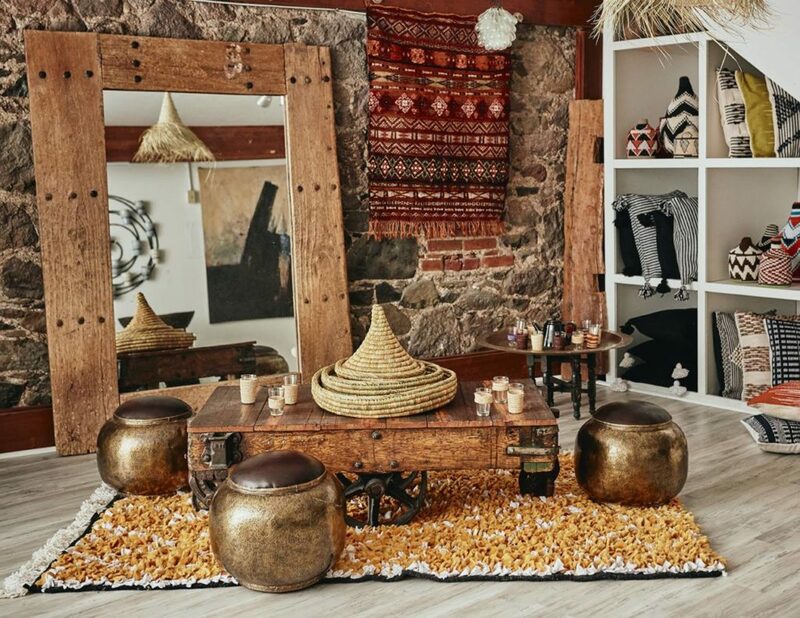 Hassani built a table for Numi teas, where his wife, Reem Hassani, is co-owner. The table received so many compliments, he was inspired to create more works. 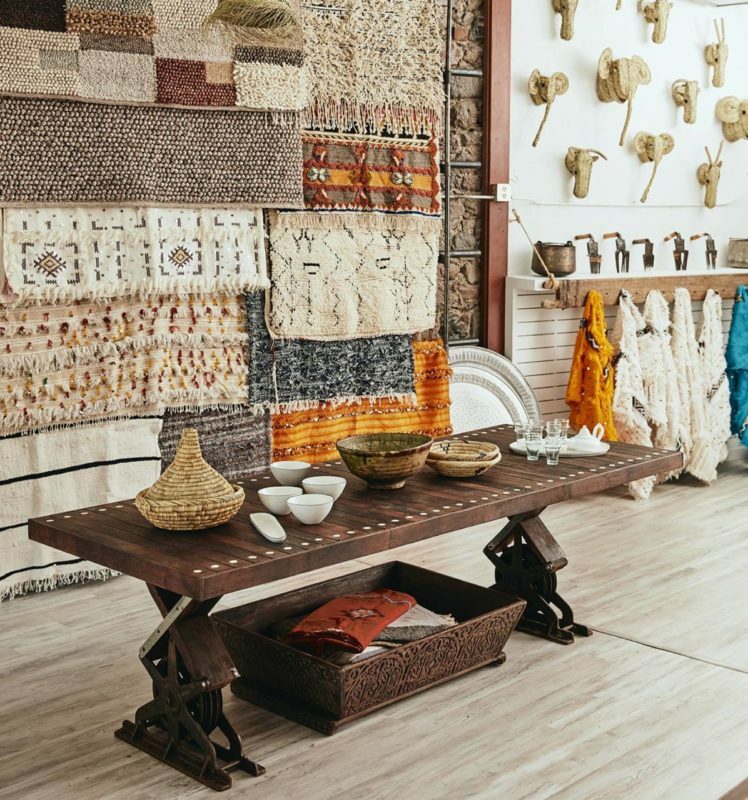 Hassani credits the encouragement of his wife in making his storefront business dream a reality. Hassani says he’s loving his new life away from the computer where he can meet people and hear their stories. That, and the fact that he gets to work in 3-dimensions with “the whole space” as his work board. 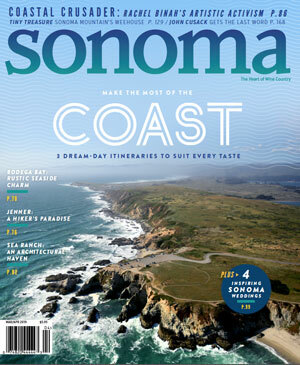 Bay-ti, 1 Fourth St., Petaluma, 707-774-6561, baytihome.com. Bay-ti is open Wednesday – Sunday, 10 a.m. – 6 p.m.